A place to read and read-joice. Isabella (or, the title that amuses me more: The Pot of Basil) is a poem in the lineage of ‘tragic love’. Inspired by the original story written by Boccaccio, Keats tells of a romance between a woman (Isabella) whose brothers demand her to marry a nobleman and a man (Lorenzo) who is helplessly in love with her but not of high social stature. Classic. Ruthless as they are, the brothers trick Lorenzo into going into the forest and murder him, telling Isabella that he had to leave on urgent foreign matters. The news devastates Isabella, but the real turning point comes when she has a vision that reveals Lorenzo’s burial spot to her. She follows her vision to the location in reality and discovers that it was true (and that isn’t the worst part.) As she can’t carry the body, she severes Lorenzo’s head and takes it with her to plant in a pot of basil. This is where she sits and weeps days on end, making the plant grow plumper than any other. The brothers catch on (again!) and disgustingly, find Lorenzo’s rotting head in the pot. Thus, they flee with the basil pot altogether, and Isabella goes mad and dies. In this post, I’m only discussing the first part of the poem which is written as a four part narrative in ottava rima form. Even when Lorenzo isn’t awake and moving in the physical world, Isabella’s presence seems to be constant to him. The riddle-like phrasing of this line may mirror how romance can defy logical boundaries. Sibilant and fricative sounds in ‘seeing’, ‘stir’ and ‘fill’ also surround the reader with whispering verse, potentially reflecting the shy beginnings of a romance. Love seems to work through a different plane – and this motif returns when Isabella discovers the cause of Lorenzo’s separation through a vision. The first four stanzas of the poem are dedicated to their courtship. Grand, sentimental and restless, this poem is spun with the strings of enduring romantic conventions. Keats weaves his signature theme of conflict into the poem too: allusion to religion (through prayer) conflicts with human limitations such as fear and animal instinct. In literature, death and spirituality is rarely far from love. The two finally confess their love for each other in a moment of pathos; the repetition of ‘believe how’ and the juxtaposition of ‘soul and doom’ dramatises the power of emotion that they feel. Poem! Thy punctuation creates a waltzing rhythm that reflects romantic bliss; it is a passage of growth as the repetition of ‘leading’ seems to suggest. The lady is now the leader and it appears to be a pleasant reversal. Yet, the binary oppositions of winter and summer still exist, and even the metaphor of them as ‘twin roses’ contains a tinge of duality. Keats conveys secrecy and sensuality through the ‘dusk’ where they meet, a backdrop which will soon steal away to reveal daylight. Perhaps this foreshadows how fragile their love is. This is supported by Keats’ ‘bower-centric’ verses; images of ‘shade’ and ‘shelter’ adorned with the symbol of sport and play, ‘hyacinth’. This message seems meta-fictional; it’s used to request the reader to appreciate their love in ‘bright gold’. From my point of view, this suggests that although love ends tragically too often, it is important to remember lovers for the purity of their emotions rather than for the barriers that destroyed them. This line at the end of Stanza XIII moves me. I don’t pretend to understand it fully, however the contrast of the rich natural images with the sinister connotations of ‘poison-flower’ can’t go unnoticed. 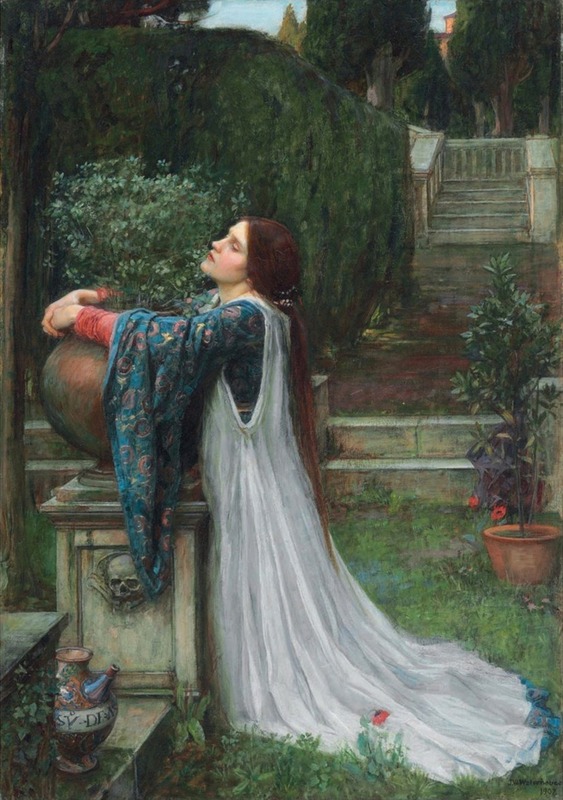 Like nature, Lorenzo and Isabella’s love is at height of bliss, but this seems to naturally attract ‘poison’ and tragedy, as we will discover later in the poem. The narrative of this poem draws on a concept that is traditional, but renews it with the imagery, pathos and metaphor that is typical of the Romantic genre. I felt moving suspense towards the end. Let me know in the comments below if you would like to read a Part Two analysis for this poem!